Soak the apricots and dates for about 2-3 hours, then drain and grind using a food processor or a hand mixer. Pour the blended fruit cream into a bowl and add the rest of the ingredients. Mix until you obtain a thick homogeneous paste. Place it in the refridgerator for about 1 hour to firm up. Remove and with a teaspoon roll out balls of the paste. Then, roll in your hands quickly, as it will melt from the heat of your hands, and finally roll it on the grated coconut. 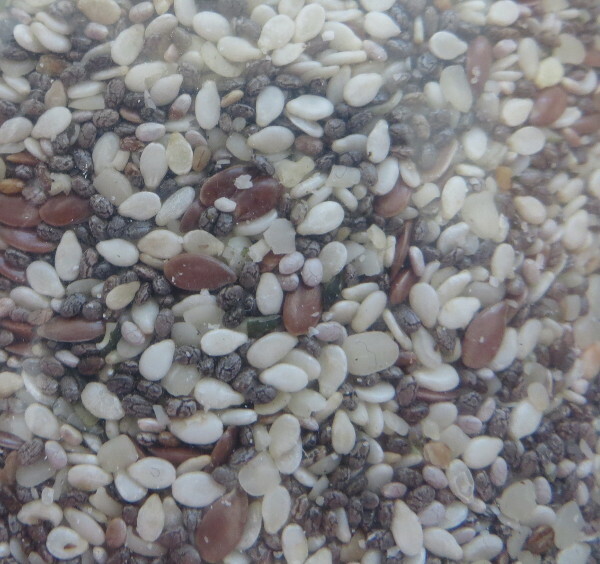 Place on a baking sheet and leave in the refrigerator for a few hours or overnight. This is a delicious recipe but with no added sugar or artificial sweeteners. 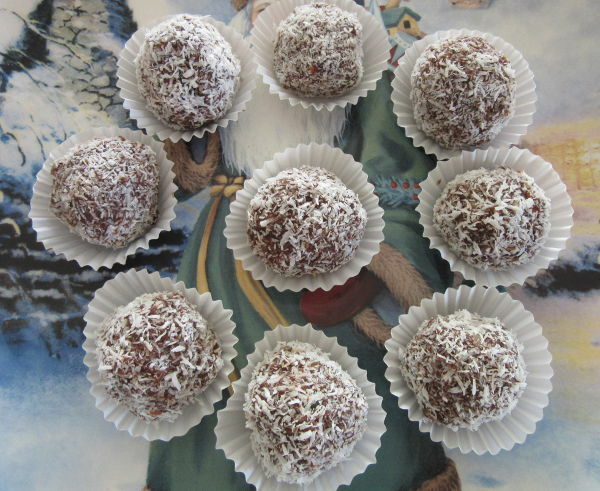 These truffles will brighten up your Christmas table and are a healthy treat for children, too.